Nice and bright family house with a lot of character. Lovely gardens with a small barbeque house overlooking the swimming pool. Situated in a closed and very secure urbanization only a few kilometers from Puerto Banus and the beach. 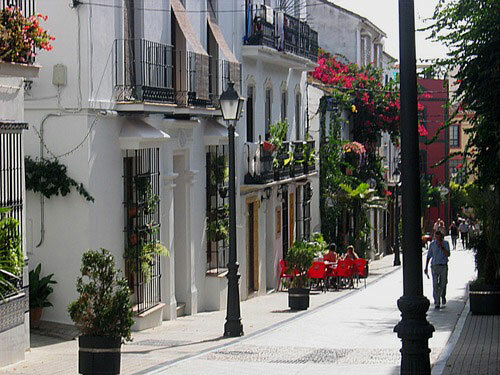 The apartment Finca Marbella is located in Marbella area. Los Naranjos Golf Club - 0.96 km. Under the same Town Hall you find Marbella and the little village of San Pedro de Alcántara. The rest of the 114 sqm offers luxury residential areas including Nueva Andalucia & Las Chapas and 26 miles of beautiful golden coast. Nice and bright family house located in a secure urbanization, this Villa in Marbella features lovely gardens with a small barbecue house overlooking the swimming pool.